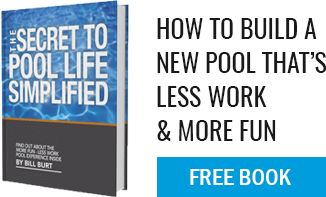 Aqua Pool Inground Gunite Pools provide Connecticut Home Owners with Pool Design and Installation advantages few pool companies can match. More than just an inground pool installation company, Aqua Pool provides total and distinctive outdoor living space transformations. Respected as one of New England’s premier inground Gunite pool and spa companies, Aqua Pool has been enhancing the value of finer homes throughout Connecticut, western New England and eastern New York for over a third of a century. As a family owned and operated pool company in our second generation of management, Aqua Pool takes great personal pride in every pool design, pool and patio construction, pool fencing, and pool landscaping project we are awarded. We understand that you want and deserve a company dedicated to making certain every step is completed correctly, on time, and on budget. Beginning with a friendly and informative pool site analysis, our specialized in ground Gunite pool consultants will work with you to help determine the unique design that best addresses the way you will enjoy your swimming pool, while also making certain the design compliments your home, yard, individual taste, and lifestyle. The reliable Aqua Pool team then transforms your visions into a “reinforced steel and Gunite” work of art that integrates harmoniously with your home environment. A work of art that is supported by a lifetime structural warrantee – and also that performs with minimized operating and maintenance costs thanks to efficient design, high quality materials, and special features like exclusive in-floor Circulating Pool Filtration Systems. The Aqua Pool advantages continue as your pool patio and pool-scaping are integrated for a stunning outdoor living solution that compliments your home and good taste. Once completed, your new Aqua Pool inground masterpiece receives a final inspection from a friendly Aqua Pool professional dedicated to your 100% satisfaction. We’ll make certain every aspect of design and operation is up to your standards – and ours. You’ll then receive guidance for problem-free start-up, operation, and maintenance. Once the pool is filled, our service department will contact you to schedule your “Start Up” session. During this training session we’ll make sure you understand everything you need to know to maintain your new Aqua Pool. “Start Up” sessions are usually scheduled during normal business hours and may require several hours to complete. If your time is limited during those hours, phone support is always available.